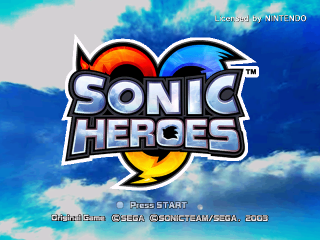 Sonic Heroes Prototype 11.18 for the Nintendo GameCube was released by drx during the February 23rd, 2008 proto release. Of the two Sonic Heroes prototypes released by drx on that date, this is the latest and least changed. It is essentially the same as the final commercially released version. This page was last edited on 20 April 2018, at 15:34.